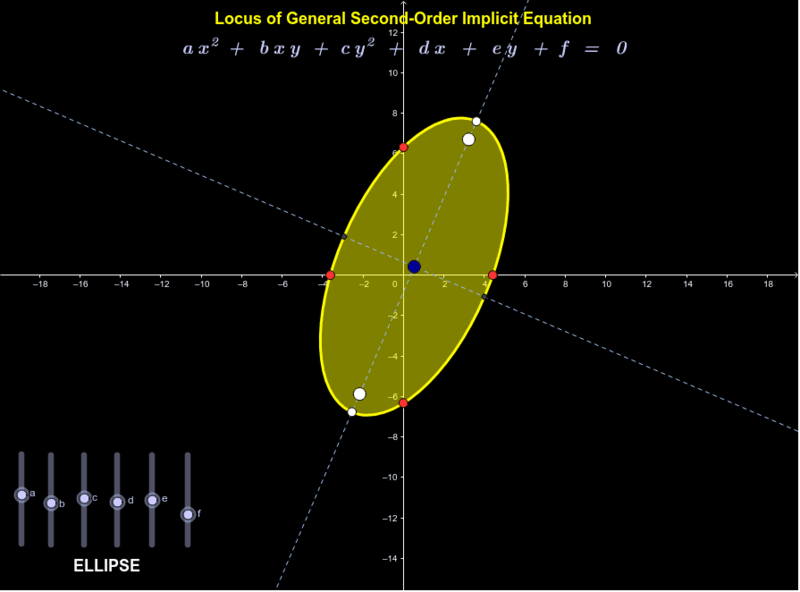 This applet plots a general implicit second-order function, shows some of its properties, and attempts to classify it. The latter usually works, but can fail for some special cases. This version is an update of one I developed some 10 years ago. Further refinements to follow; especially, the zoom/move tools don't show up here, while they did on the originating machine.